My first year of teaching I had less than a week to normalize myself with my new classroom and create lesson plans for the first weeks of school. I didn't have any idea what materials there were in the deep recesses of the cabinets. 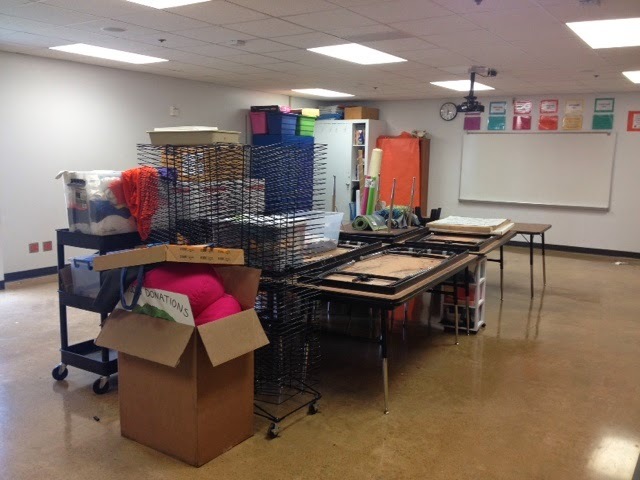 At the end of last year EVERYTHING, and I do mean EVERYTHING, in my room had to be boxed up and packed away for our schools reconstruction. 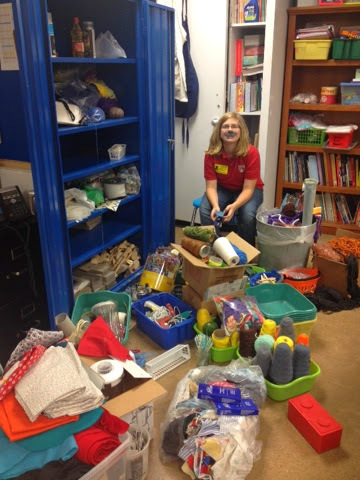 I didn't have anytime to "cleanse" my room of supplies that weren't usable. I may be an art teacher, but I definitely can't stand having things junking up my room. This year I had a little help! Some of my former students came to help me organize and clean out my room before the summer break and I am so thankful! I know it seems to go against everything I stand for as an art teacher, but I had had enough! There were supplies, like a box of peanuts, that I have had for years and never used. I'm sure I could have found something to make with them, but sometimes I just have to say no to myself and let it go, let it gooooooo! Yes, yes I did! I also enjoyed having my little helper because she found a lot of fabric and helped me get it all in one place! It's given me an idea for an assignment next year. Seriously? I am already getting excited about NEXT year and this one just ended! Look at all that fabric! I also found THREE blenders! I'm sure I can't be alone when it comes to finding supplies you didn't know you had! I found three blenders, plus a hand held mixer and some extra plastic sewing needles in a box that came from who knows where. I love finding new things in my room, it's like shopping without spending money! 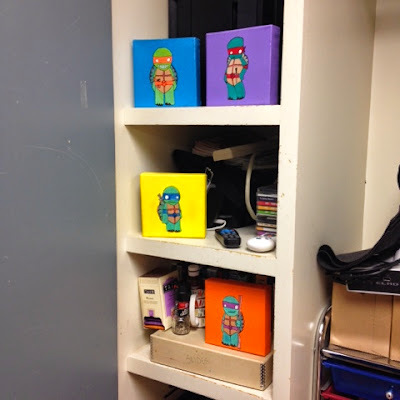 My ninja turtles are guarding my technology for the summer! Do you EVER throw anything away? Give it away? 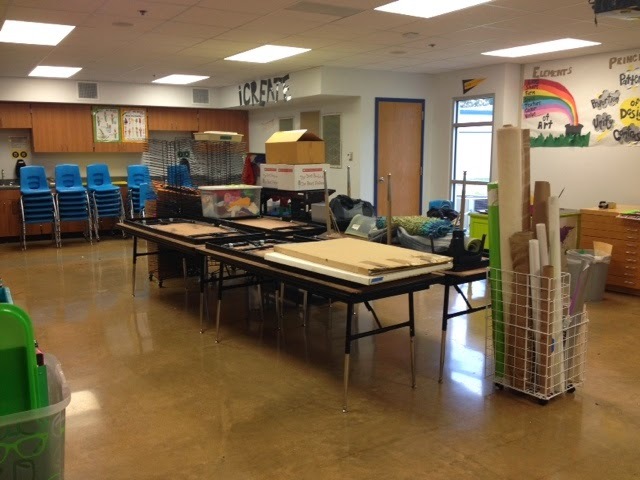 What does your classroom look like at the end of the year? It's hard to throw things away isn't it? I have teachers bringing me lids, cupcake containers, baby food jars, dictionaries, you name it, because I think of a project and send an email and get ten zillion replies back. Needless to say my classroom needed some major organization!